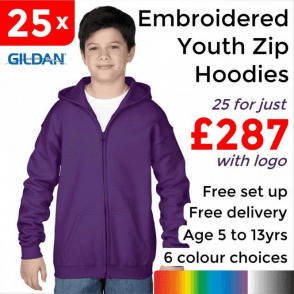 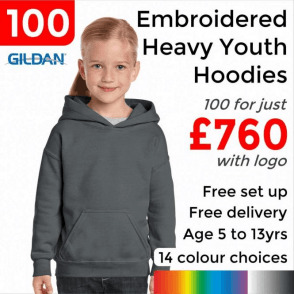 Choose from the colours and sizes in the quantity tab to make up your order of 25 Hoodies, this price includes your logo embroidered in 1 position. 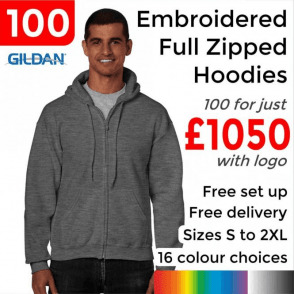 Once you have added the items to basket you will be taken to the page to upload your text or design. 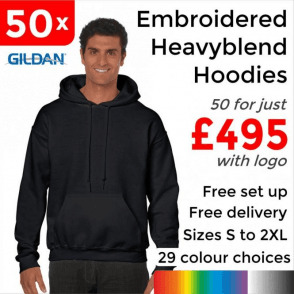 Chest (to fit) S - 34/36", M - 38/40", L - 42/44", XL - 46/48", 2XL - 50/52"